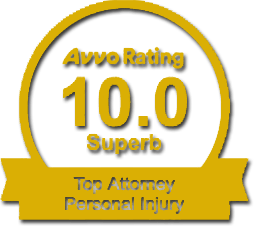 Oviedo Workers’ Compensation Attorney Firm Securing Compensation for clients Injured in Oviedo and surrounding areas. According to Florida’s Workers’ Compensation Claims Statistics, there were 48,077 claims for workers’ compensation benefits throughout the state in 2018, with 916 claims originating in Seminole County. If you were hurt in a workplace accident, you may also have the right to file a claim for benefits. However, the process can be challenging, especially at a time when you are trying to heal from your injuries. At the Benenati Law Firm, our team will tackle the legal complications with filing for workers’ compensation, so you get the maximum level of benefits allowed by law. Please call 407-777-7777 to set up a free consultation with an Oviedo workers’ compensation attorney, and check out an overview of the claims process. You were hurt in an accident that happened while you were at work, performing work-related tasks. A third party’s negligence led to your injuries. If you meet the eligibility requirements mentioned above, you may receive compensation for all medical costs that are reasonable and necessary to treat your injuries. Medical benefits include surgery, outpatient procedures, physical therapy, pain medications, and related care. You may be able to obtain permanent disability benefits if your injuries prevent you from doing any work, even a limited or sedentary position. If you lost a family member as a result of a workplace accident, Florida’s workers’ compensation laws also allow you to file a claim for death benefits. Depending on the number of dependents, you may be eligible for up to 2/3 of the victim’s average weekly wage. For specific details on your rights and legal remedies, please contact the Benenati Law Firm at 407-777-7777 to set up a free consultation. You can also visit our website for more information on services for injured employees in Oviedo, FL and throughout Seminole County.